I mentioned that my Caspari holiday inspiration wasn't quite done with my Thanksgiving coverage. The Christmas displays I saw at Caspari HQ when I visited in November were AMAZING. And none caught my attention more than this nutcracker bar! 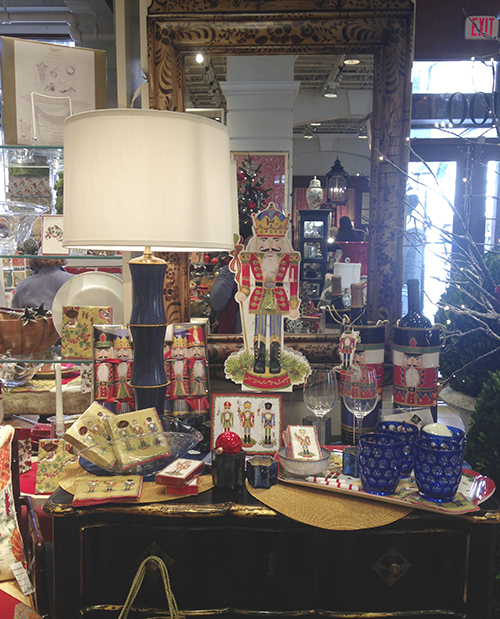 Y'all know I'm devoted to nutcrackers and I couldn't stop staring at this gorgeous display accented with the most delicious tones of cobalt blue. I've really jumped on the blue train at Christmas as I love how it sets off the traditional red and green tones of the season and this bar captures the look exactly. Not so great pictures but trust me that the look was ridiculously good in person. 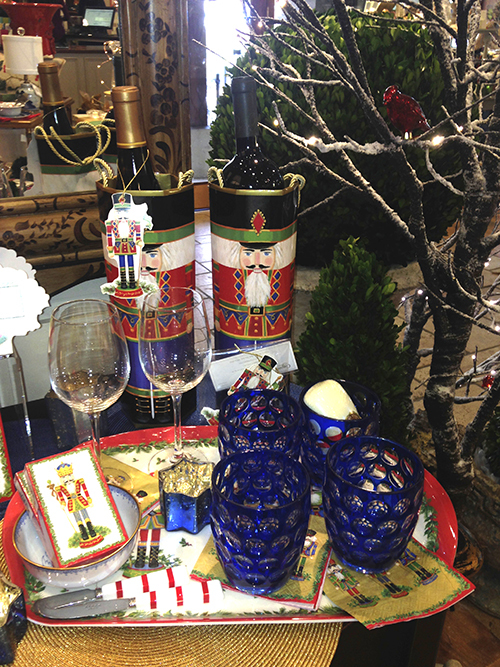 Caspari has the most incredible assortment of items with their nutcracker motif, as you can see. Like that big guy in the center? He's an advent calendar! Love, love, love. Daniella, so many adore nutcrackers (from the time we were children and first saw The Nutcracker Suite) that this line is perfect! Love the Nutcracker Bar!